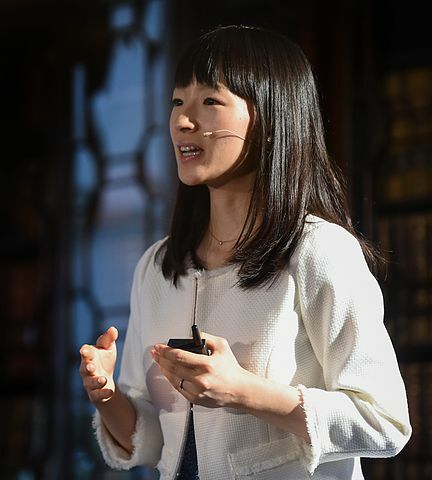 I’ve been a little obsessed with Marie Kondo and her tips for organizing your life now that Netflix has a series on her. This woman is amazing and can pretty much organize your entire life and household in a week. While I have learned quite a bit of tips, such as things that don’t spark joy and how to fold laundry, I will have to agree with this Family Handyman’s article on the 10 best Marie Kondo organization tips to change your life. I thought I would expand on them here. #1. Keep what brings you joy. Now, I understand that a hammer may not bring you joy, but it is something you’ll probably need, however, do you need 10 of them or will to suffice? Really take a look at everything you own and if it really brings you joy and usefulness throughout the day or the week. If you have attached a book in years, it may be time to either lovingly put it away or give it to someone who will read it. #2. Work on categories, not rooms. This is kind of the opposite of everything we’ve been told. Stick to one room at a time, however, Marie talks about decluttering your house in the form of categories. If you have a lot of towels scattered throughout the house take stock in exactly what you have and get rid of any duplicates or towels that could be better used elsewhere. #3. Be careful with nostalgia. Are you still holding onto old movie ticket stubs from your favorite film as a child or are these things simply taking up space? Find a way to consolidate nostalgia or sentimental items and have a box with just a few items on a bookshelf so that you can easily look at them without having scads of hope chests and miscellaneous boxes in the garage. Are your clothes piling up at the bottom of your closet? Are your shoes scattered all across the floor? Have a little respect for your own items and what does not bring you joy or you haven’t worn something in over a year, it may be time to pass it on. #5. The art of folding. This has to be my favorite and one that I have implemented the easiest. 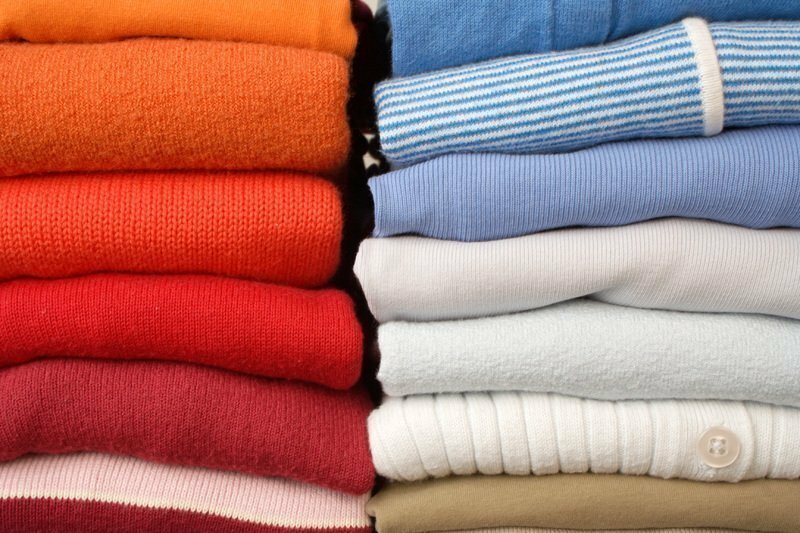 Rather than folding things in a square, roll scarves, dresses, pants, and underwear stacking them vertically so you can see everything rather than having something buried under five pairs of pants. Obviously, we need to keep certain documents for 7 to 10 years or other important documents forever like birth certificates or passports. But go through your home and make a list of papers to save and papers to go through or deal with. You can easily pare down thousands of pieces of paperwork fairly quickly. #7. Don’t fiddle with fancy storage systems. Before you shell out money on fancy spice racks or cubbyholes, Marie recommends detoxing your home first. We don’t need the fancy filing and organizing systems if we don’t have that much stuff. #8. Store things standing upright. Whether this is Tupperware in your kitchen or shirts in your drawer, stacking things on top of each other means you forget what’s at the bottom. Storing everything upright gives you a chance to see everything in the drawer or cupboard easily so that you use it and get to it quickly. #9. Start with a blank slate. Marie suggests taking absolutely everything out of your closet, drawers, and cupboards and starting fresh. Go through every piece of clothing one by one and if you love it, keep it, if not, donated or get rid of it then carefully put things back one at a time. #10. Start by asking yourself why. Most people fall into three categories, and attachment to the past, fear of the future, or combination of both. The sooner you understand why you are holding onto things, the easier it will be to conquer that obstacle and have a brighter and cleaner future. So, what is your favorite Marie Kondo tip? I tell you what, after watching that series, everything in my house is folded and stacked upright.